For thousands of years, pilgrims from all over the world have come to the Holy Land to worship and pray—and for tremendous reasons. 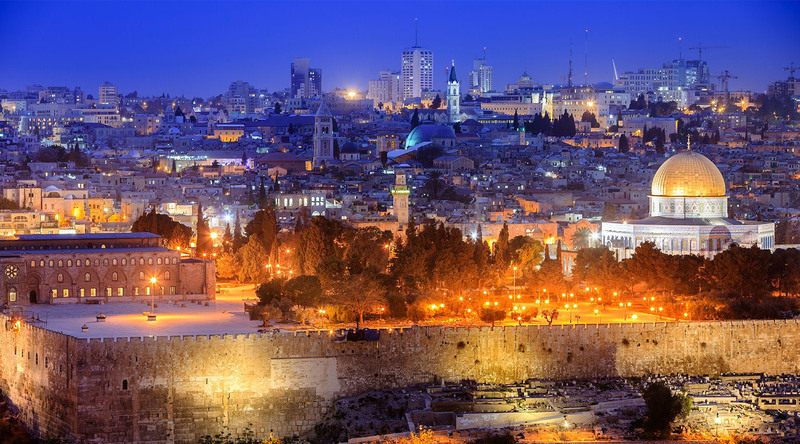 It’s home to some of the most revered destinations on Earth, including Jerusalem, Nazareth, Mount Carmel, the Sea of Galilee, and Temple Mount, as well as the sacred heart of Christianity, Islam, Judaism, and the Baha’i faith. But this crossroads of Asia, Africa, and Europe that stretches from the Mediterranean to the River Jordan is also a beguiling place of extreme contrasts. Where the landscapes range from arid deserts to lush valleys and beaches of golden sand. Where some of the world’s most renowned UNESCO World Heritage sites can be found. And where the cultures, cuisine, and daily traditions are as vastly different as the pilgrims themselves. To delve into the past, present, and future of this magnificent region, come take a spiritual journey with us to the Holy Land. Uncover the ancient secrets and incredible sights of Cairo, including the Great Pyramid of Giza—the last of the Seven Wonders of the Ancient World still in existence. Embark on a magical history tour through the cities of gods, apostles, and pharaohs on our 11-Night Israel, Egypt & The Churches of Asia Minor voyage. Come with us to the Israeli seaport of Haifa, the perfect base for visiting such awe-inspiring sites as Galilee, Nazareth, the River Jordan, and the holy mountaintop city of Safed. Compare the extremes of Dubai’s modern wonders with the Holy Land’s sacred sites (plus a stop at a desert oasis along the way) on our 16-Night Emirates to Petra & Jerusalem voyage. Unleash your inner Lawrence of Arabia at the desert valley of Wadi Rum, where Bedouin nomads, colorful camels, and a spellbinding land of soaring cliffs and burnt-orange sands await. Learn about the faith, culture, and cuisine of one of Israel’s ethnic minorities on an exclusive Azamara Shore Excursion, a Druze Culinary Workshop, a Druze Culinary Workshop held in a local villager’s home. Be sure to get your fill of falafel (Israel’s unofficial national food), as well as kofta and shish kebabs, couscous, and Harira soup, made of herbed lamb, lentils and chick peas. Savor all the new flavors waiting for you in the Holy Land and connect with your destination on a deeper (more delicious!) level on an immersive Shore Excursion.